Vinaya Vidheya Rama starring Ram Charan, Kiara Advani in lead roles in Boyapati Srinu direction has released with early morning shows today. The film is produced by DVV Entertainments with DVV Danayya as producer with Devi Sri Prasad as the music composer. The film also has Vivek Oberoi, Prashanth, Aryan Rajesh, Sneha, Hema, Himaja and all in prominent roles. 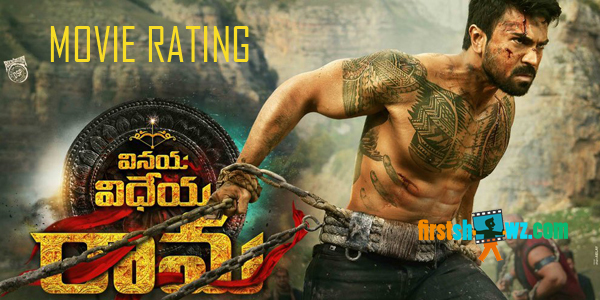 We at firstshowz.com bringing you the opinion poll for below Vinaya Vidheya Rama Movie. Please vote your rating.